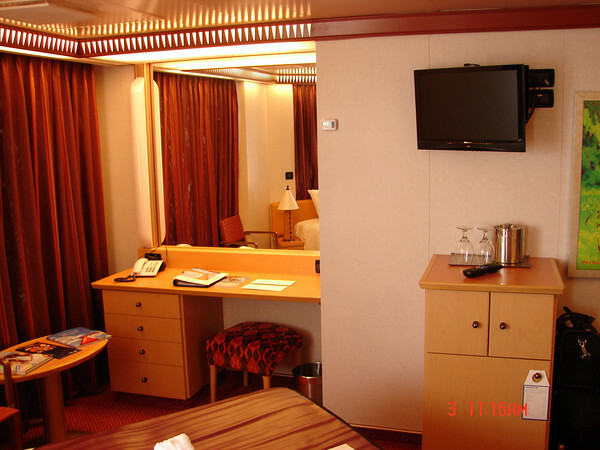 Cruises and Destinations - Our Cruise Reviews: Our Next Cruise, The Carbbean aboard the Carnival Dream is coming up fast! Our Next Cruise, The Carbbean aboard the Carnival Dream is coming up fast! In a couple of days we board a Southwest flight and begin our journey to Port Canaveral and a Caribbean Cruise on the Carnival Dream cruise ship. Time to put together a list of things not to forget to pack. 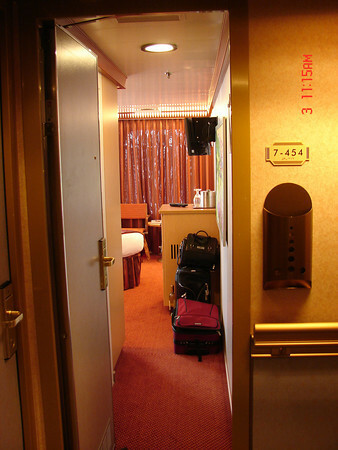 On our various cruises I've managed to forget things like a cable for the camera to download the pictures, my tux shoes, a dress shirt, swim trunks, cuff links and studs for the tux, toothbrush charger etc. I have to wonder what I will forget this time. The Caribbean isn't really our favorite cruise destination, but we are taking this particular cruise to cruise with our group of crusing friends. A few cruises back, a big group of us who had been reguarly visiting the roll call page or something at cruise critcs, had so much fun that we decided to get together and attempt to take over more cruises. This is about the 3rd or 4th one where a bunch of our cruise critic freinds have cruised together. 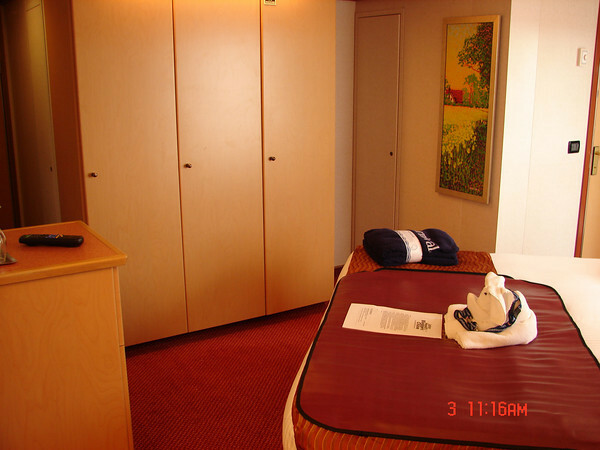 I've found some photos of the cabin we will be in, cabin 7454. We got what looks like perhaps the best balcony you can get without going to a suite. 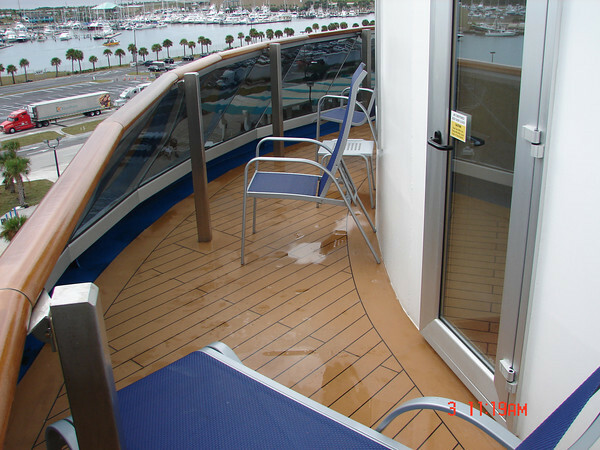 That's the criteria Kathy deems the most important... what the balcony is like. In a few short days Kathy and I will be doing daily blogs as we cruise the Caribbean aboard the Carnival Dream with our cruise critic friends!